Welcome to Day 12 of my 12 Days of Christmas. Today I share how to make easy DIY pocket hand warmers. I saw this idea on Sadies Seasongoods and was hooked on the plaid. For each one you will need to cut out two 5×5 squares from your fabric. With the right sides of the fabric facing together, stitch around the edges, using a 1/4 inch seam allowance and leaving about a 1/2 inch opening. Turn right side out and fill about 3/4 full with your rice or lentils. Stitch the opening closed and you are done. In a microwave, heat the pair up for 25-30 seconds and they will stay nice and toasty for about 3o minutes. Here is a link to a cute tag you can use if you plan to give them as a gift. 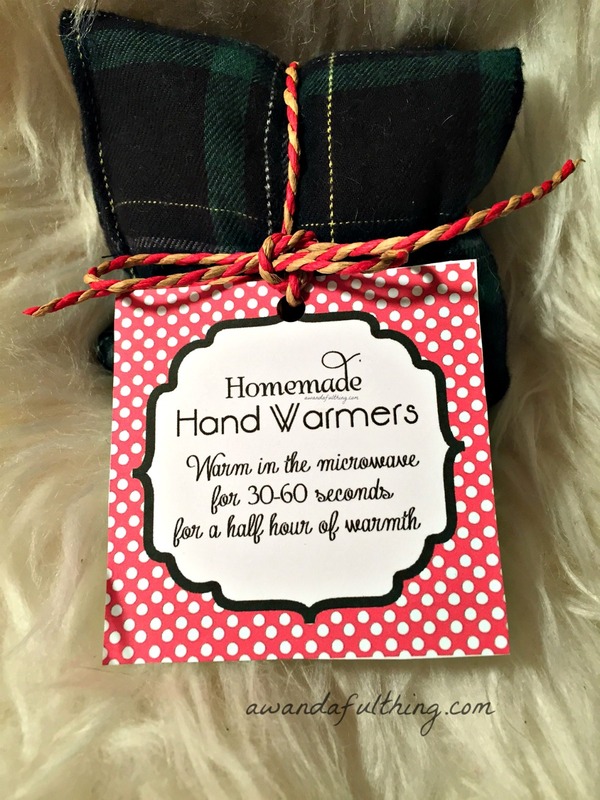 DIY pocket hand warmers – It’s A Wandaful Thing! Here is a recap of my 12 Days of Christmas. It’s been a lot of fun and I hope you have enjoyed it. 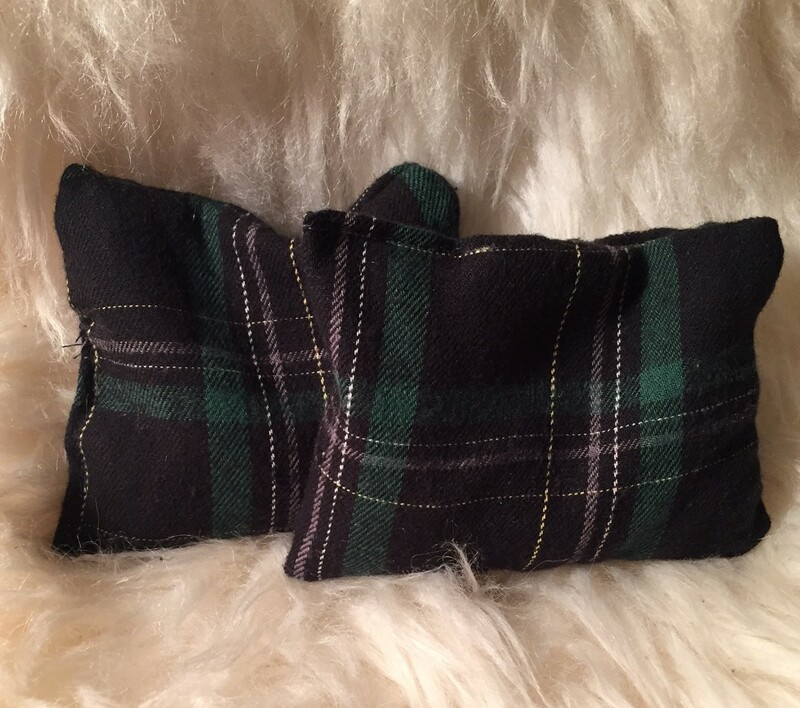 This entry was posted in DIY, Make and tagged cheap, Christmas, Crafts, creativity, DIY, easy, flannel, gift, hand warmer, inexpensive, material, microwave, plaid, rice, tag. Bookmark the permalink. Thank you so much for following along and I hope some of my ideas have inspired you! Happy Holidays to you! Thanks, I have really enjoyed your 12 days of Christmas. Neat, easy ideas for a wide variety of individuals. Happy Holidays!